A range of quality supplements to help support healthy skinTrusted for quality, integrity and efficacy, The Advanced Nutrition Programme is a powerful and science led range formulated by experts with more than 30 years nutritional experience. We believe that nutrition is not only essential for our bodies to function healthily but also in supporting and boosting every skincare regime. ​We are committed to working with ingredients that are not only of the highest quality but are sourced responsibly and sustainably as well. EPAX supplier of our omega 3 fish oil is a member of Friends of the Sea, the organisation whose mission is the conservation of marine habitat. The oil is scrupulously screened for PCBs and other pollutants to ensure maximum purity. This approach is extended to all products in the range to ensure supplements of the highest quality and purity. 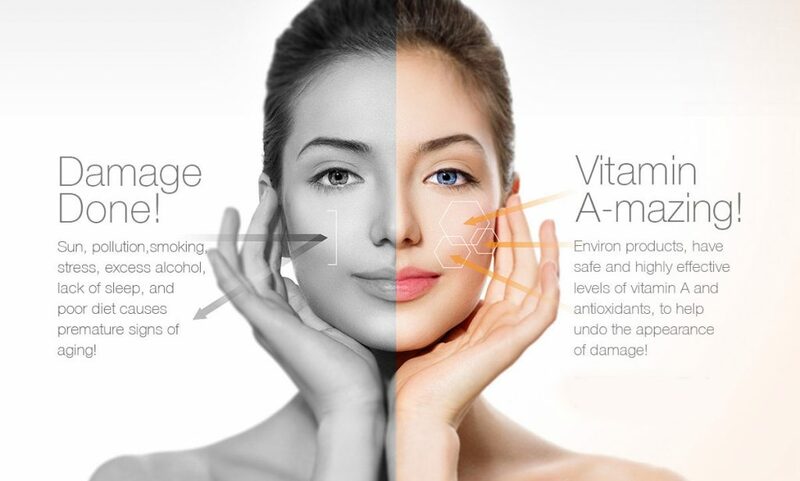 ​With these five star benefits and Environs industry leading Vitamin STEP-UP SYSTEM, skin can be reborn and look healthy and beautiful for a lifetime. Jane Iredale's revolutonary mineral makeup lines offer a healthy alternative to traditional cosmetics - superior coverage and 100% natural skin- loving ingredients - made without oil, talc, dyes, parabens or fragrances.